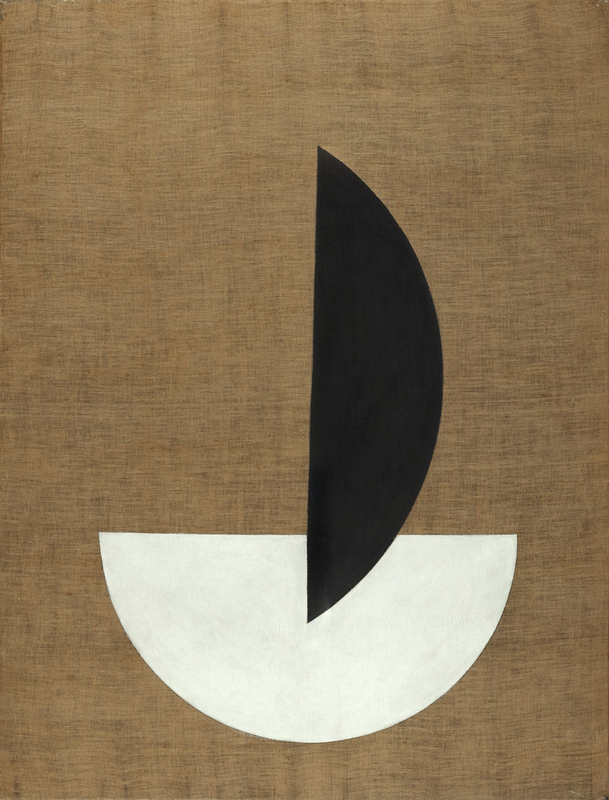 The influence of Russian Constructivism, especially that of El Lissitzky, who visited Berlin in the early 1920s, led Moholy-Nagy to endeavour to express eternal values in his works through pure geometric forms that do not exist in the natural world. 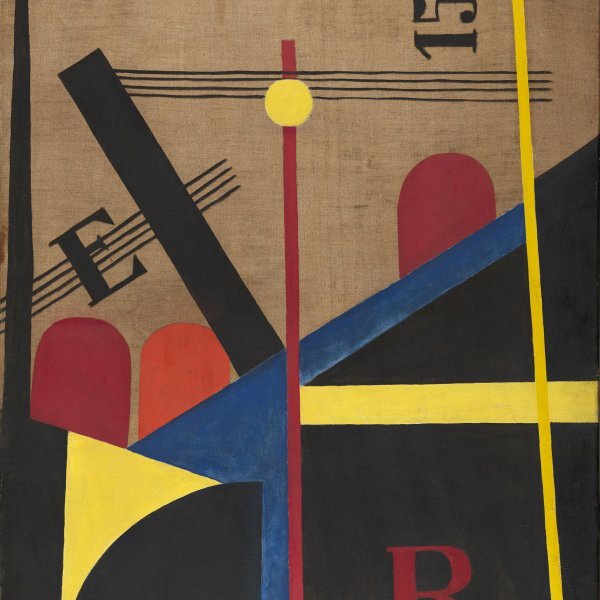 Similarly, like the Suprematist and Constructivist artists, he devoted much of his oeuvre to seeking a balance between opposite values such as black and white, stillness and motion, horizontality and verticality, and action and reaction. In the Thyssen-Bornemisza Circle Segments, the artist explores the relationship between heaviness and lightness. The basic lines of the composition — a set of two semicircles positioned vertically and horizontally, respectively, which he went on to repeat in numerous works — and the technique employed attest to his effort to eliminate as far as possible any references to the personal hand of the artist by using pure forms and clean, smooth, flat surfaces. The first owner of the work was Ida Bienert, a collector of the oeuvre of artists like Mondrian, Chagall, Malevich and Moholy-Nagy, who commissioned the interior design of her Dresden home from Piet Mondrian in 1925.